Divya JwarNashak Kwath is a very effective cure if you are having prolonged fever accompanied by shivering and joint pains. Kalmegh and neem in Divya JwarNashak Kwath has antibacterial, anti-viral and anti-inflammatory properties which flush out the micro-organisms from your system and cure the root cause of the fever. 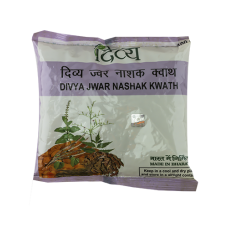 Divya JwarNashak Kwath is a trusted cure for chronic fevers caused by infections or inflammation in any internal organs. It also boosts your immunity, reduces joint swelling, relieves joint pain and stiffness. 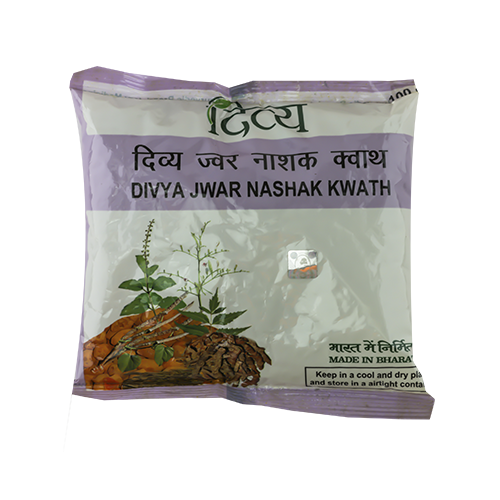 The herbal properties in Divya JwarNashak Kwath have nutrients that help your body recover its strength. Get holistic cure from recurring fever with Divya JwarNashak Kwath.